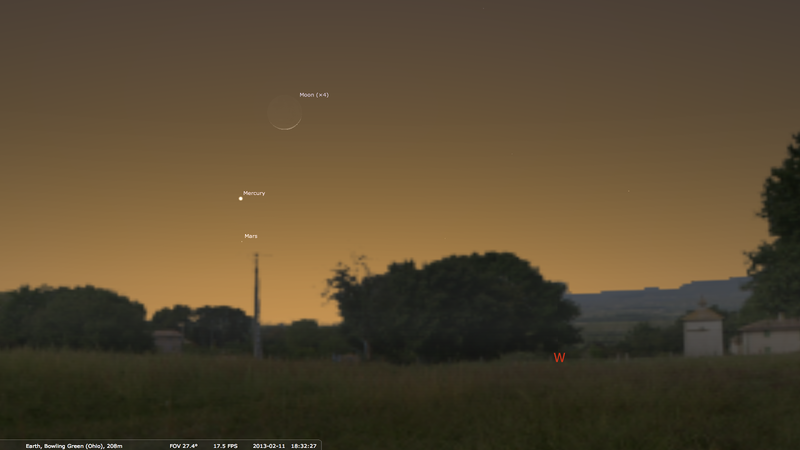 A very thin (3.4% illuminated) crescent moon joins Mercury and Mars just after sunset on the evening of February 11, 2013. If the weather cooperates, make sure you have a clear view to the West as close to the horizon as possible. At sunset (6:02pm in Toledo), the moon will only be 20º above the horizon, and only about 14º altitude when the pair of planets becomes visible. Mercury and Mars will actually be much closer together (< 1º apart) on the evening of February 8, 2013, but will not be joined by the moon. 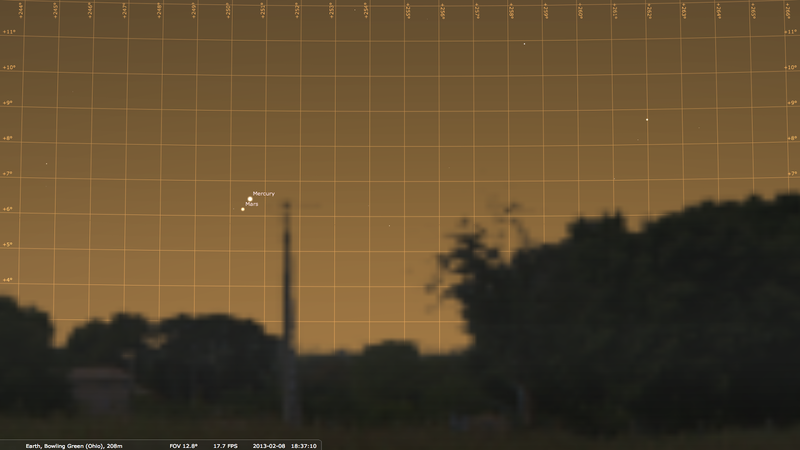 On this night, Mercury will also be a brighter -0.89 magnitude compared to -0.72 on February 11. If the sky cooperates, I'm planning to set up a camera at the Slippery Elm Trail in Bowling Green. The open fields should give me clear views to the West, and the trail is open an hour after sunset (that's all I'll need).